Roxy Maddie, 42rg. Really enjoyed this little spice bomb! I concur on the 5 Vegas Gold maduro. I haven't tried the MB3, but will soon. All the reviews I've read on it seem to paint a great stick. Smoking a namakubi, so far I'm not impressed. 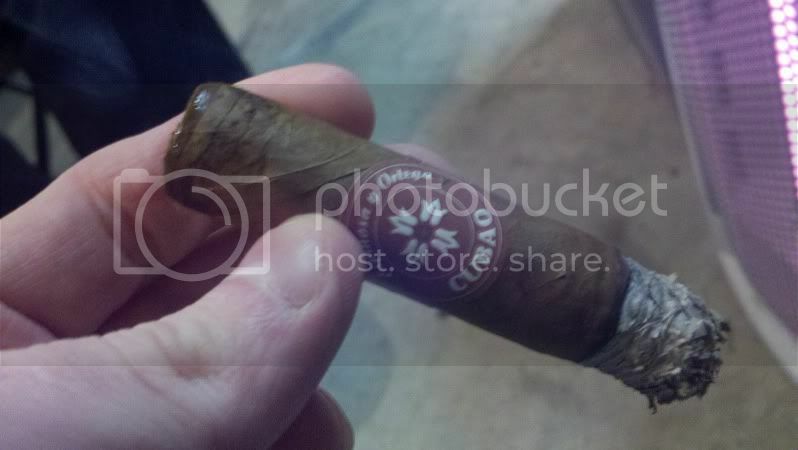 The MB3 is a great smoke, lots of cocoa with some woody and nougaty flavors thrown into the mix. And to keep on topic, finishing of a Padron 64 Imperial(?) Natural. Good smoke, but I'm still partial to the Maddies. After smoking three cigars and the MB 3 being the fourth All I can honestly say is it was great! 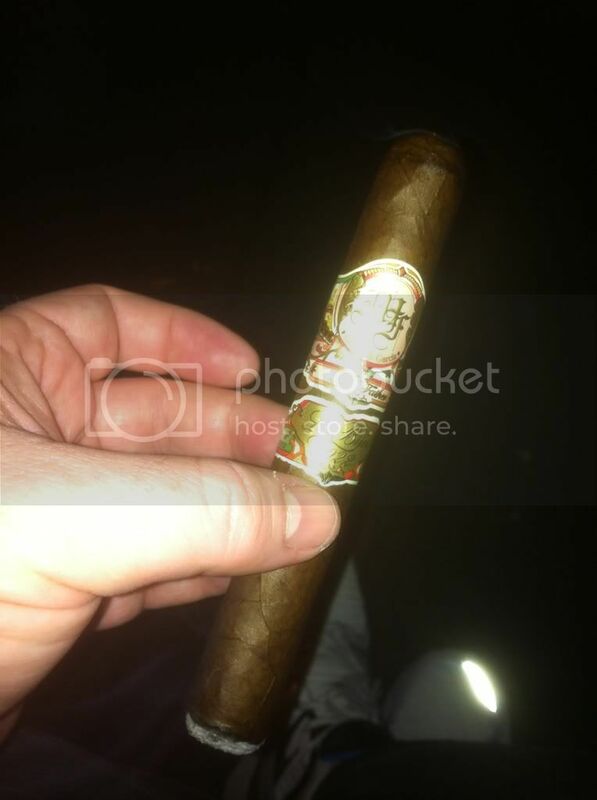 This cigar is normally a little outside my range where to me it's leather, earth, and tones of chared wood. But being the fourth it had some mild sweet earth flavors! Very nice. Smokin' on a G.A.R. right now. Love the Brand, not a fan of the size. Tonight it's a My Father Le Bijiou and I've been letting them age. About a tray on this batch and it is getting a LOT better. The over the top Oscuro Habano charred wood pepper power house is mellowing and some wonderful oily sweetness is blending in. 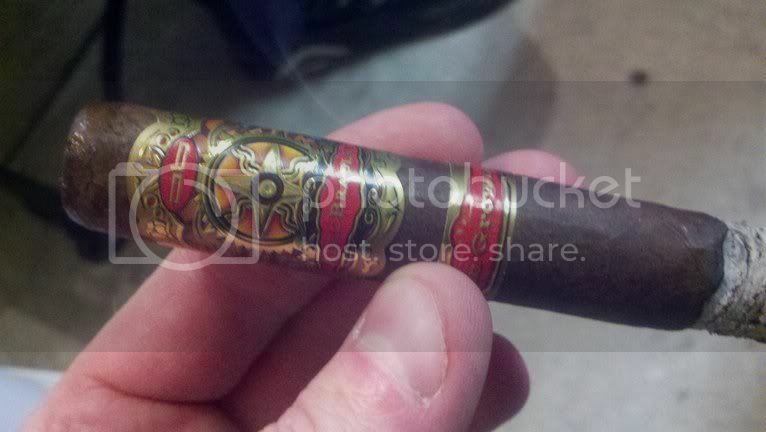 This has turned into a wow cigar. Correction. A year not tray. I love my iPhone but the spell correction leads to some mystifying statements. Enjoyed a damn tasty Kristoff Ligero Maduro last night. I almost did the same after we talked about how good they are! I chose a RoxyM because I wanted something quicker. Was it the RoxyM corona? If so, how was it? I have a 5er of them resting and haven't tried one yet...I need to. I really enjoyed it, I am impressed with Drew's skills and blend with his limited selection of tobaccos. It is a spice bomb It burned perfect and the draw was great. It was the 42rg size. I really enjoyed his RoxyM robustos...a spice bomb? Right in my wheelhouse!! In my drunken state I pulled a Padron Cortico out of the humi to smoke last night. Surprisingly I remember it tasting really quite good. Humo Jaguar robusto. Very good . 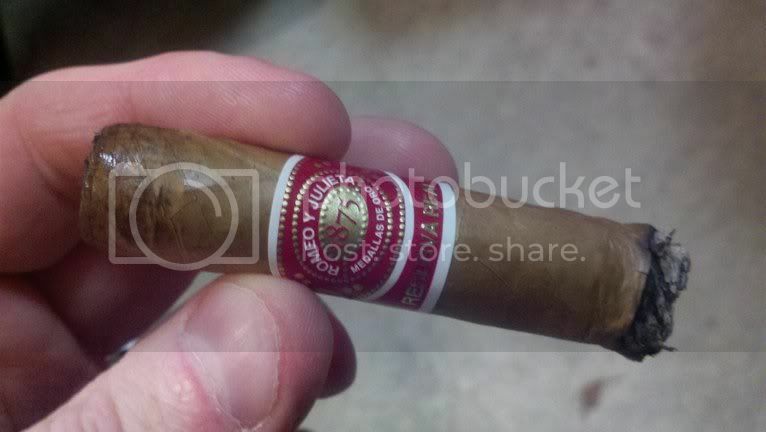 Wish i would have jumped on a box of these when they were on cigar monster for half off.